New book on Harry Selfridge on sale at Audible! 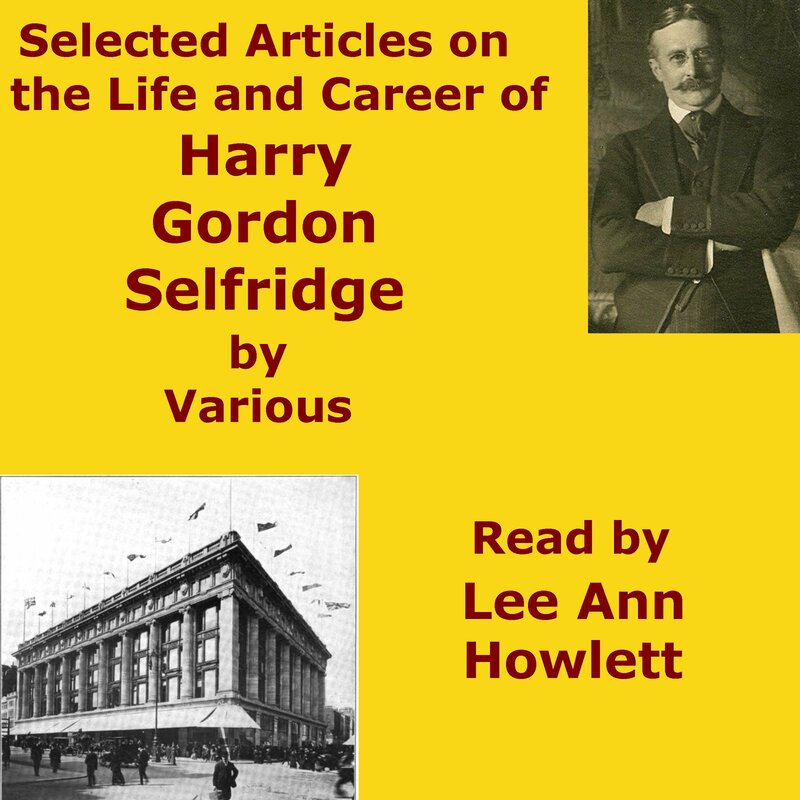 Lee Ann is pleased to announce the publication of her latest audiobook, Selected Articles on the Life and Career of Harry Gordon Selfridge written by various authors. Harry Gordon Selfridge (1858-1947) was an American born merchant who built Selfridge’s, a London department store, which opened in 1909. Using his 25 years of experience at Chicago’s Marshall Field and Co., Selfridge initiated the use of American innovations and methods of business in his London store. These articles reflect how Selfridge was viewed by the press in the U.S. and London along with how he was seen by his fellow merchants and tradesmen during the years his store was built and thrived. There are also a number of sections in Selfridge’s own words. He loved publicity and was very interested in the ideas of his competitors, employees, and how business was done in other countries. This collection contains articles and excerpts from newspapers, books, magazines, and trade publications published from 1890-1922. Harry Gordon Selfridge and his store were the basis of the PBS Masterpiece Classic series, “Mr. Selfridge”. Posted by lahowlett on July 30, 2014 in Uncategorized.